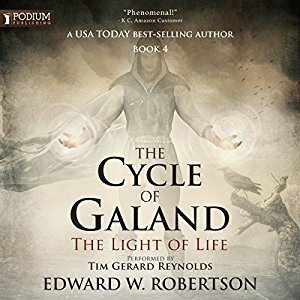 The Light of Life: The Cycle of Galand #4 is Out on Audiobook! I’ve mentioned this elsewhere, but forgot about here. Oops. As the title says: THE LIGHT OF LIFE, The Cycle of Galand #4, is out on audio! Find it on Audible, Amazon, and iBooks. 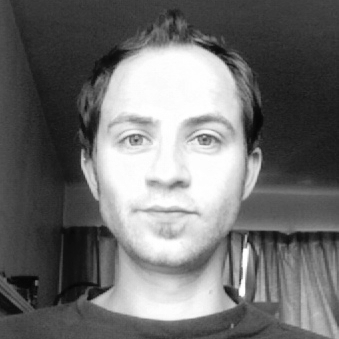 To anticipate a few questions: Yep—Tim Gerard Reynolds is still narrating. 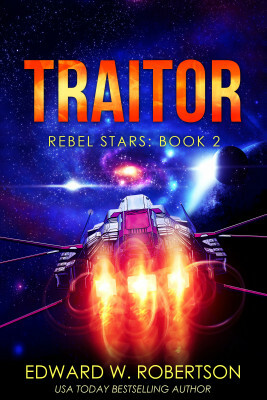 As for when the next one’s out, as if getting two audiobooks within the span of three months isn’t awesome and great and satisfying enough to last through the rest of the decade: I’m currently working on new REBEL STARS. After that, it’s right back to Galand #5 (and #6), so expect the ebook version of the next installment next spring—hopefully early next spring—and the audiobook two or three months after that. Authors are rarely the best judge of their own work, but I really like how this one turned out. Hope you guys do, too. 23 Responses to The Light of Life: The Cycle of Galand #4 is Out on Audiobook! Another excellent story from EWR and narration by TGR. I’m hoping there are several more to come. I’ve listened to a lot of TGR’s works, actually I found CoA/CoG when looking through his audible listings, and I have to say that his performance of Gladdic in Light of Life is probably my favorite to date. I’m hooked there isn’t any other way to describe it. I bought the first book of the cycle of galand on a recommendation from Audible and it’s been the best purchase I’ve ever made. After listening through all 3 books available I then found out about the cycle of arawn and loved those ones more. I’ve now gone through both book sets twice and truly I cannot wait for #5 and #6. These books are getting BETTER! How the hell do you write at this speed and keep improving? I used to put you on par with Brandon Sanderson but at this point I’m way more invested in D&B than any character In Stormlight. I think he and I write pretty close to the same number of words per year, interestingly enough. I am a huge fan of your writing (Breakers was my gateway drug), but the Cycle of Galand is just plain great writing. I’m eagerly awaiting Book 5, and can’t thank you enough for bringing this world to all of us. Ok cycle of galand #4 so far is the best book in the series! As others have said it is amazing that you can write so fast and so well! I have enjoyed reading about Dante and Blaze and love the addition of nerem and gladdic! I listen/read on audible and tim Gerald Reynolds never disappoints! You are incredibly talented and I keep you in rotation with Sanderson, Michael j Sullivan, pierce brown, and Brent weeks. (Still waiting on new stuff from Rothfuss). I can’t say enough great things about book 4 and eagerly am awaiting 5&6! I haven’t read Pierce Brown, or heard of him before your comment. I love each of those other authors you mentioned, especially Sullivan and Sanderson, so I feel like it will definitely do to look into Mr. Brown! I got the Cycle of Arawn on an Amazon pro iron and ate it up within a few weeks, I was beyond excited when I found the Cycle of Garland so I can’t wait to get stuck into this. I’m currently getting lost in Rebel Stars and just picked up 4, 5 and 6 of Breakers. The variety of worlds you create is stunning! I can’t stop raving about you to my booky friends. Just finished this one, and WOW! I cannot tell you how much of a pleasure it was to listen/read. Easily the best in the series, and it has me chomping at the bit for MORE! It just occurs to me how bitter sweet it will be to read the next two installments. I cannot fathom not looking forward to more tales of D&B. I understand, but it stinks! Fantastic series. This is one of my new absolute favourites! Very well done. Really looking forward to the next book. Will there be a map released for the book? Shoot, there probably should be. I’ll see about that when I’m putting together the next one. When is the expected release of book 5? Your work is unbelievably enjoyable. Thanks for continuing to put out an awesome series. The ebook should be out by May, with the audiobook most likely a couple months after that. In all seriousness, the cycle series (both) are my all time favorites. Keep crushing it! Ok, I’ve listened to all 7 currents like 4 times… need to freeze myself until “a few months after” May. So, will my Trace survive the freeze? It sounds like Podium will be able to get the audiobook to Tim right after I finish the book, so that should make for a summer release. Your trace survives on the earth even after death, so I don’t see why it wouldn’t survive a freeze! What is the title of book 5? Is there a release date yet? It’s probably going to be called THE SPEAR OF STARS and it’ll be out late May/early June. Hi Ed! Not sure if you’re on FB much any more these days, but I sent you a message there about a new fantasy book collective. Hope to catch up with you soon. Stop playing with my emotions when is the next book out. Any update? Btw am a big fan. The next book will be out on ebook in a week or two, with the audiobook coming a couple months after that. Well that’s great news. Thanks man.